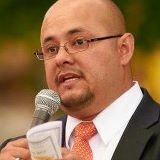 During a lengthy hearing of the House State, Veterans, and Military Affairs Committee on House Bill 1050 on January 30, 2012, Democratic state Rep. Joe Salazar claimed that Lieutenant Governor Joe Garcia received a letter from the Secretary of State’s office asking him to prove his citizenship. The only problem? It’s totally false, according to our source, who said the letter that Lt. Gov. Garcia received simply notified him that he was listed as inactive as his primary ballot was returned to the Pueblo County Clerk as “undeliverable”. That’s ok, Rep. Salazar. Don’t let the truth stand in the way of your talking point. JOE GARCIA FOR LABOR SECRETARY? Yes, he is a good man; however, he comes from a state that is attempting to break its labor contracts, due to its own PERA pension mismanagement. Prior to appointment as Labor Secretary Garcia should state for the record whether or not he supports the breach of labor contracts in Colorado. “A governmental entity can always find a use for extra money, especially when taxes do not have to be raised. If a state could reduce its financial obligations whenever it wanted to spend the money for what it regarded as an important public purpose, the Contract Clause would provide no protection at all… Thus, a state cannot refuse to meet its legitimate financial obligations simply because it would prefer to spend the money to promote the public good rather than the private welfare of its creditors." For more resources to protect public pension benefits visit saveperacola.com.